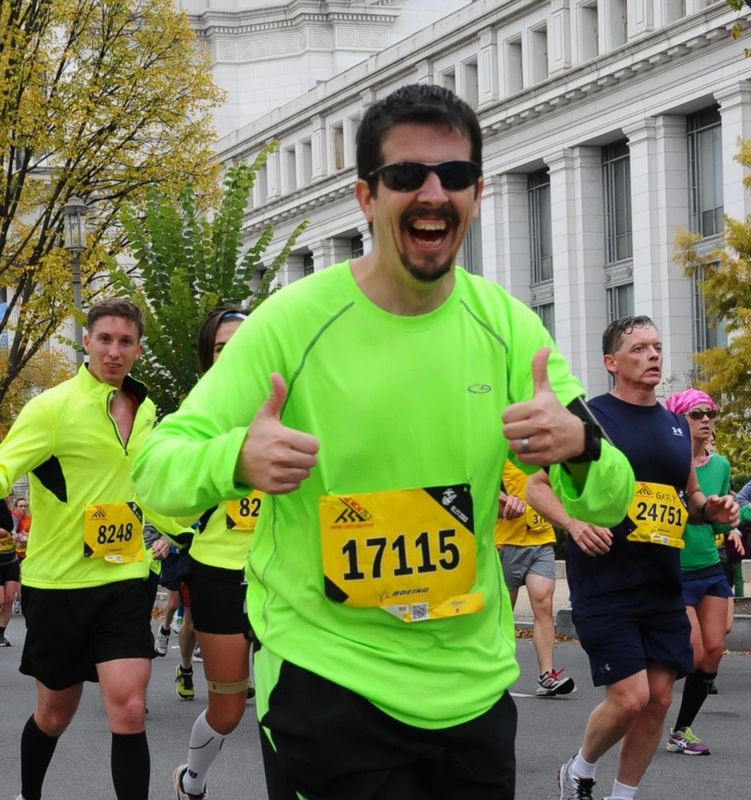 Home › Marine Corps Marathon › I Just realized I have been neglecting my speedwork! I Just realized I have been neglecting my speedwork! Last night was a procrastinating night. I knew my rest-days were over, and I had a 3 mile run on the books. That’s it, only a 3 miler. Well I kept finding reasons to put it off. I spent some time with my wife, then went and played Halo with my kids (and got killed over and over by my 11-year-old. He is much better than I am at it.) Well, eventually you realize that you are procrastinating and have to decide are you going to do it? or not? Well, I’m a runner in training for the Marine Corps Marathon – so what kind of question is that? Of course I am going to do it! I had however, put it off until it was dark out. If I went running outside with the head-lamp, my wife would worry and get out of bed (she wasn’t feeling well so she went to bed early.) This meant I was on the treadmill again. As I wandered downstairs, it occurred to me that I hadn’t done much speed-work lately. This is a problem, how can I run faster – if I don’t run faster? Time to push that comfort-zone again! THAT had to change NOW! I had the perfect solution to that! Minute 13 – 6 mph. Back to the subject at hand however! When I am on a treadmill, and it doesn’t matter what I do to try to stop it – I end up staring at the time passing. EVERY. SINGLE. TIME. The nice thing about this workout, is you HAVE to stare at the time change.. And then do something. This makes time go by much faster, BECAUSE you are watching the time, instead of the usual making it go slower! I suspect i should have gone up to 9.5 on my round, as I didn’t feel like i was worried about shooting off the back of the treadmill. But this was my first go-round at speed work in a while,so I am not going to feel bad that I didn’t.. I will just go faster next time. That’s right – speed work is now added to my routine, at least once a week for one of my “short” runs! Overall, I have to admit that I quite enjoyed this run. Now I just need to find a local hill to do hill repeats on.. Or MAYBE, I can just go to the Annapolis Strider’s Bridge run. And once again… (I know, I know, you have heard it before…) Have you considered donating 5 or 10 dollars to help those in need? Anyone that has been in a large city, has seen the panhandlers begging money. The problem is you don’t know that those people ARE homeless or in need, and you have no idea if the money is going to actually go to anything life-changing, or even helping. We all know the stereo type of giving money to those that are begging, and having the recipient use it for drugs/booze/etc. Did you know there ARE some great ways to donate? I am using my running of the Marine Corps Marathon as a fundraiser for the Volunteers of America Chesapeake’s homeless services programs. We currently run homeless shelters in Loudon County, Fairfax County, Woodbridge VA, and transitional housing (ie: streets to real homes) in Virginia and Maryland. The great thing about donating to my fundraiser, is that it is sponsored by Fannie Mae. They are doing a fund-matching, so your 10 dollar donation becomes 20! You can donate by clicking the link in the top right corner of the blog or by going to http://www.hthwalks.org/goto/runningthemcm. And as a way of saying thank you, I have some thank you gifts as well! For donations of $10.00 or more, I will send you a water bottle! We also will be doing a raffle for other items listed on the blog. I also just received some more items, including 2 gift bags from the Washington Redskins! Donate now for your chance to win, and make a difference in someone’s life! ‹ Diana Nyad.. An Inspiration. Speed work is a great time to bring focus and intention to your running program. Instant gratification – The hard work and effort you put in is immediately rewarded out on the trail or road. Take care, have fun and please be well!